Hello there, Colonel Birdstrong (formerly SatoshiKura) here. Since the old forums are down, I thought I'd try and migrate everything here. I'll be leaving some of my older, uglier mods to die, but if there's a specific one you want me to upload, let me know and I'll throw it on here. Link, from The Legend of Zelda: Ocarina of Time, joins Dissidia! He's used on the Warrior of Light. This Link carries just as much equipment as he normally does! While in EX Mode, he can equip different things! He can switch from his Kokiri Tunic to the Zora or Goron Tunics, change his shield for the Mirror Shield, put on the Golden Gauntlets, or trade out the Master Sword for the ever-powerful Biggoron Sword! He can always just keep the Master Sword or start out in one of the other tunics as well. Included is Dark Link, who also has access to the Biggoron Sword, Mirror Shield, and Golden Gauntlets. 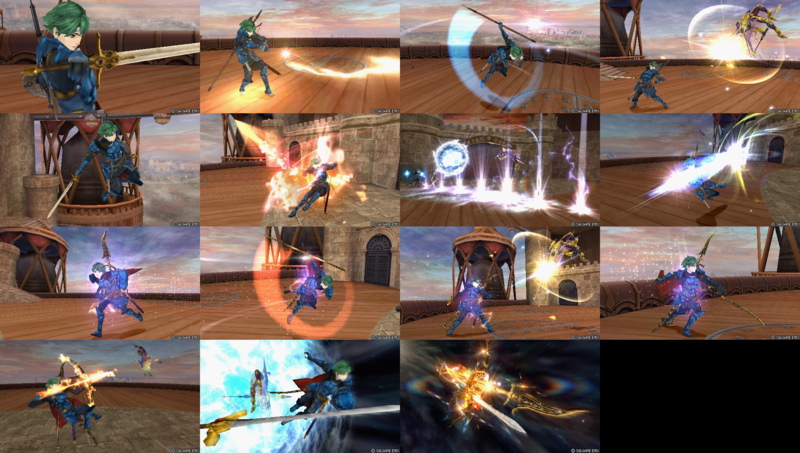 Link from The Legend of Zelda: Twilight Princess/Super Smash Bros. Brawl/Hyrule Warriors imported into Dissidia 012 Final Fantasy! He goes over Firion. 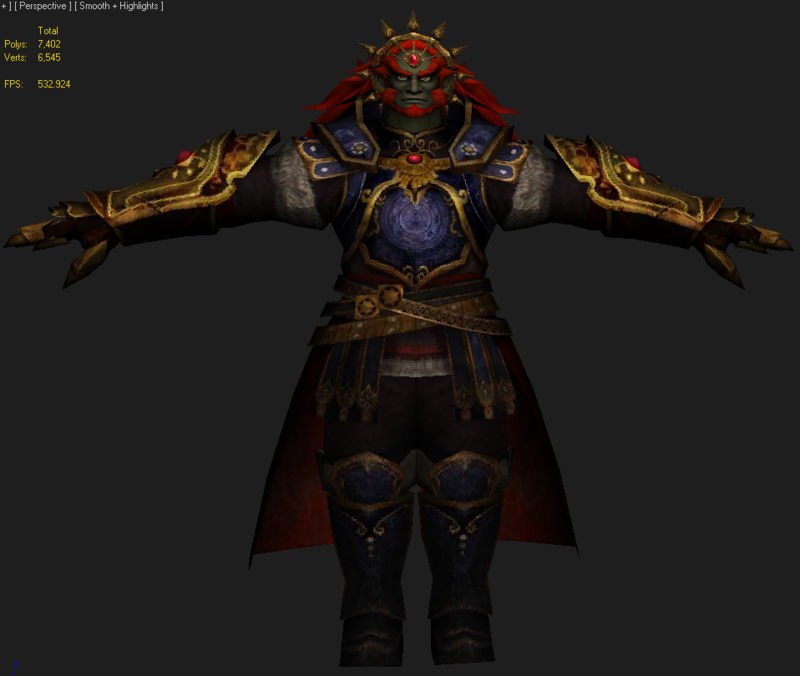 His model uses assets from Twilight Princess, Super Smash Bros. Brawl, and Hyrule Warriors. Link uses a few of his weapons from Twilight Princess, plus Zelda's Light Arrow! 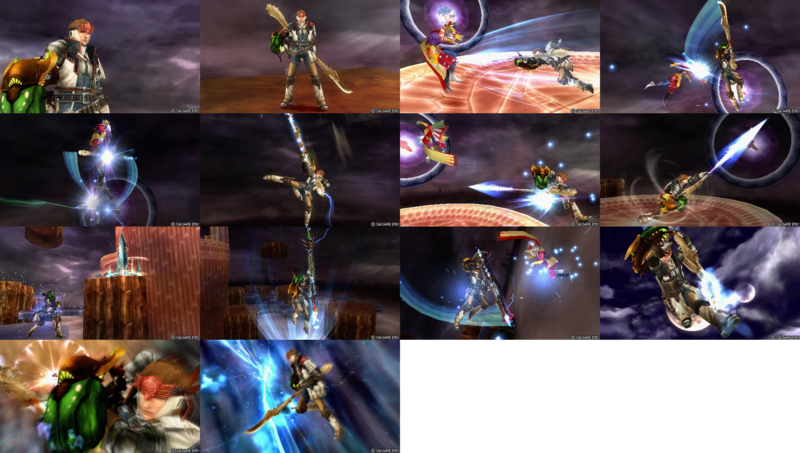 An alternate version included in his download allows him to wield the Ordon Sword in place of the Light Arrow. 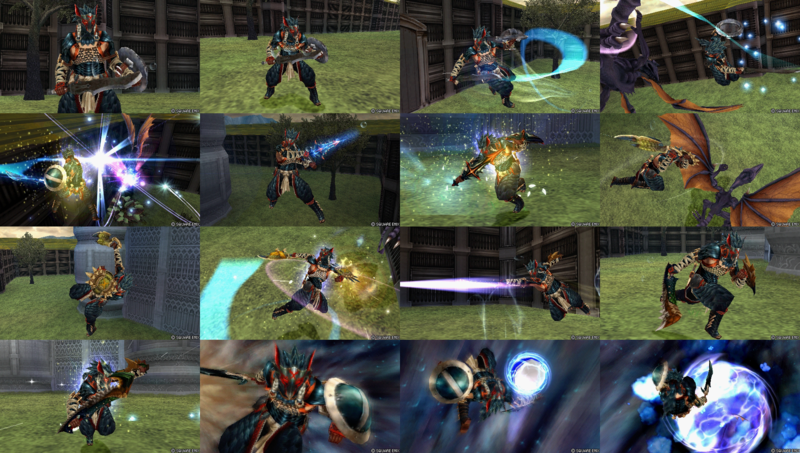 Fierce Deity joins the ranks of the various Final Fantasy characters in Dissidia 012! He is used over Cloud. 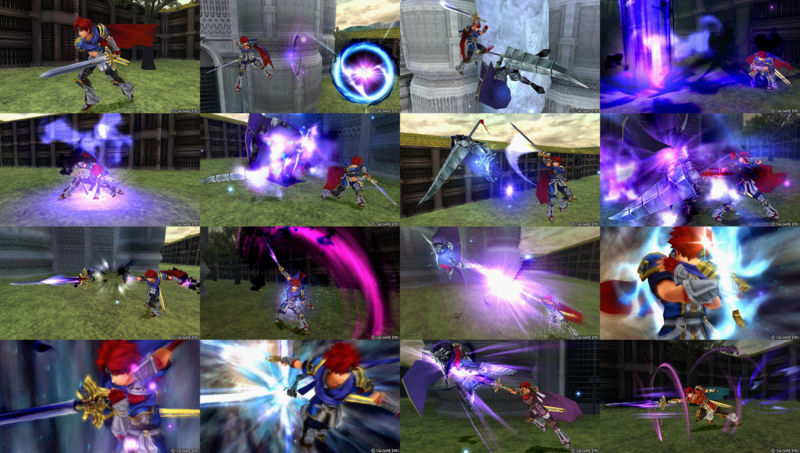 In EX Mode, he switches out the traditional Helix Sword for the strongest version available in Hyrule Warriors. Also included is a dark version! Ganondorf from Super Smash Bros. Brawl/Twilight Princess on Exdeath. He comes with two alts: His "Grandpa Ganondorf" color from Brawl, and Project M's Ocarina of Time Ganondorf model. Ganondorf from Twilight Princess/Hyrule Warriors joins on Garland! He wields his dual swords from Hyrule Warriors. A Lizalfos from the Zelda series joins Dissidia! It goes on Jecht. Its gauntlet-hand has full finger movement! Other than that, there's not really anything special about it. Robin, using his appearance from Super Smash Bros. for Wii U, comes to Dissidia on Firion. He wields the Levin Sword and three tomes: Wind, Thunder, and Fire. 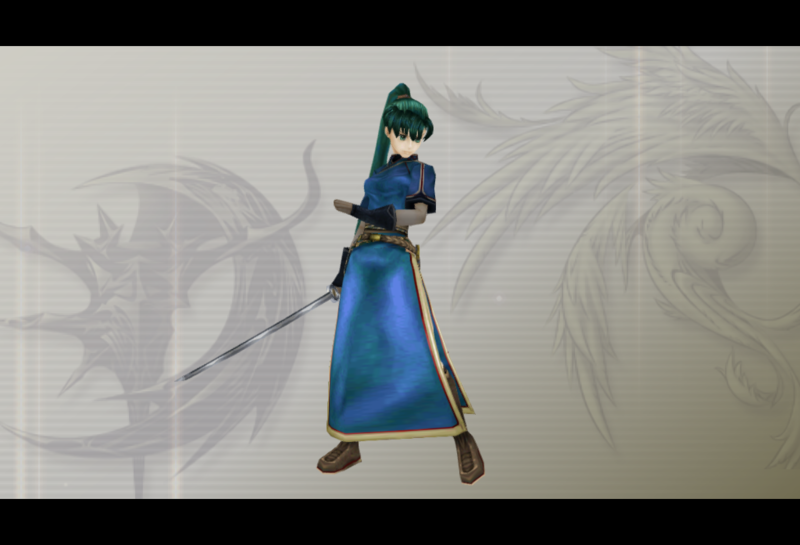 Lyndis, from Fire Emblem 7, comes to Dissidia over Lightning. She makes use of both of the weapon types available to her from her original game and final class, switching between the bow and sword to deal damage at both short and long range. 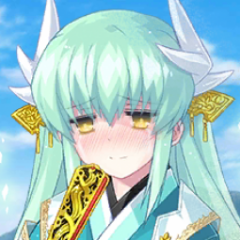 A little fun fact is that her nickname, Lyn, means Lightning in another language. Her skirt has some very obvious clipping, but that was unavoidable. For some reason, her arms are a bit darker than the rest of her skin, I know the problem, but when I try to fix it.... Well, she starts becoming invisible. Or the model just completely screws up. Her hair also sometimes stabs through her body. 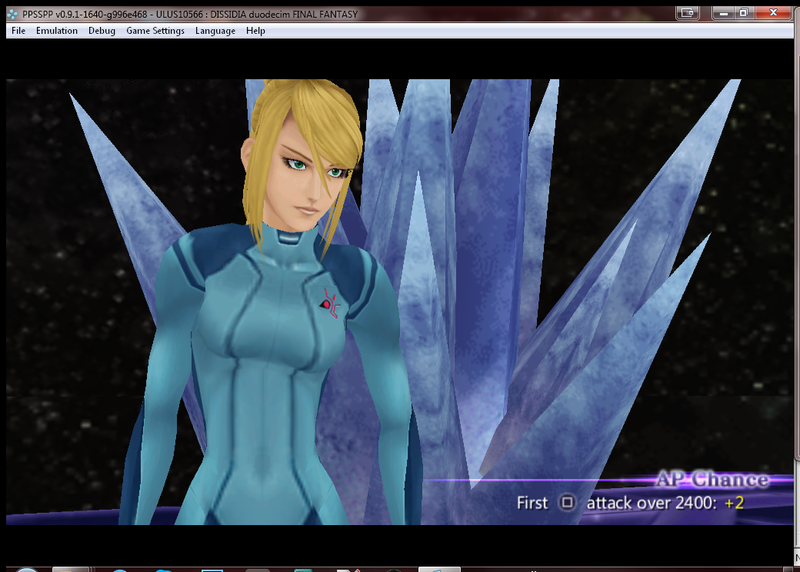 Samus, in her most iconic suit, joins Dissidia on Laguna. Samus in her Fusion Suit! As with her Varia Suit, she goes over Laguna. Samus, in her Light Suit from Metroid Prime 2: Echoes. She goes over Laguna. Samus, without her suit. She uses her Paralyzer from Super Smash Bros. Brawl, and goes over Lightning. Thanks to SJS on Brawl Vault for permission to use his model! 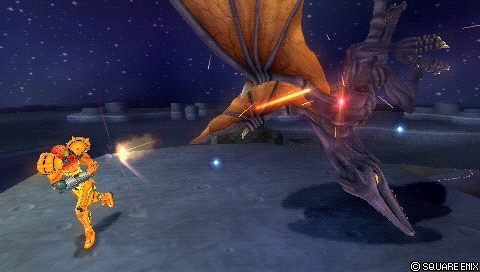 Samus' nemesis, Ridley, comes to Dissidia on Feral Chaos. 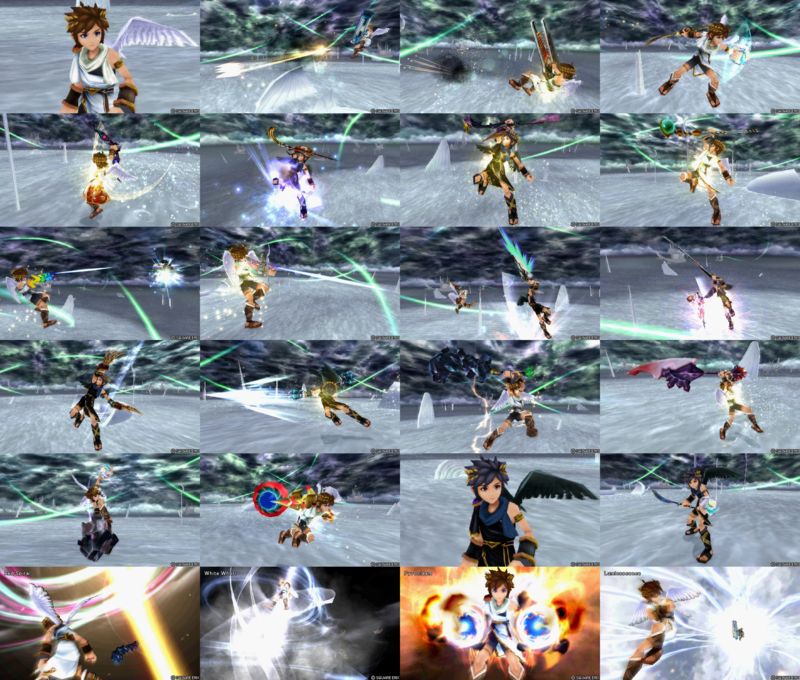 Pit from Kid Icarus: Uprising imported into Dissidia 012 Final Fantasy! He goes over Vaan. His model uses assets from Kid Icarus: Uprising on the 3DS. Pit has access to every weapon type usable in Uprising. He starts with the basic weapons (besides Palutena's Bow), and in EX Mode, he gains stronger versions! Also included is a Dark Pit version, who uses the Silver Bow and Dark Pit Staff in place of Palutena's Bow and the Orb Staff respectively. Thanks to DSX8 for supplying his files! 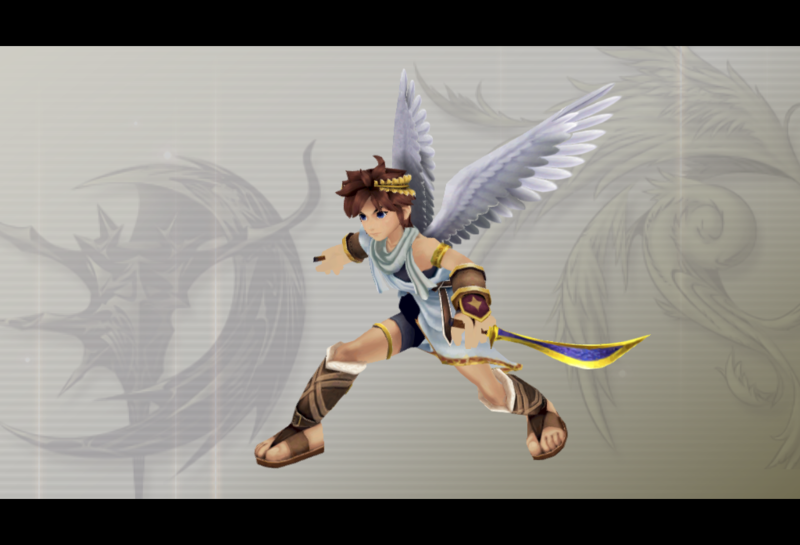 Pit, from the Kid Icarus series, comes to Dissidia on Zidane! 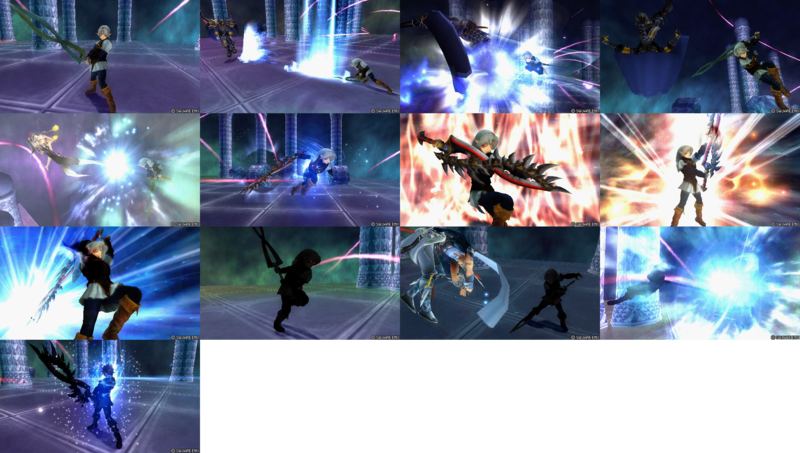 Zidane's animations and attacks are pretty much perfect for him. 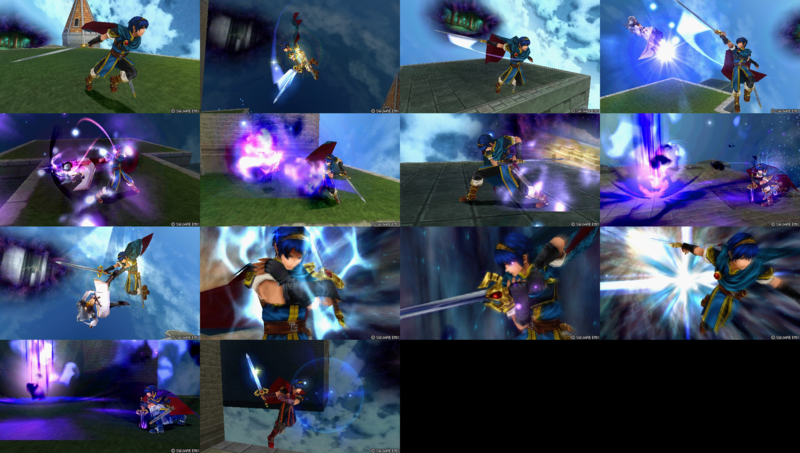 Also included is a Dark Pit retexture, made using SJS' Dark Pit textures that I can't find on Brawl Vault anymore. Good thing I had them laying around, though. Captain Falcon, from the F-Zero series, comes to Dissidia in a rather feminine way on Tifa Lockhart. 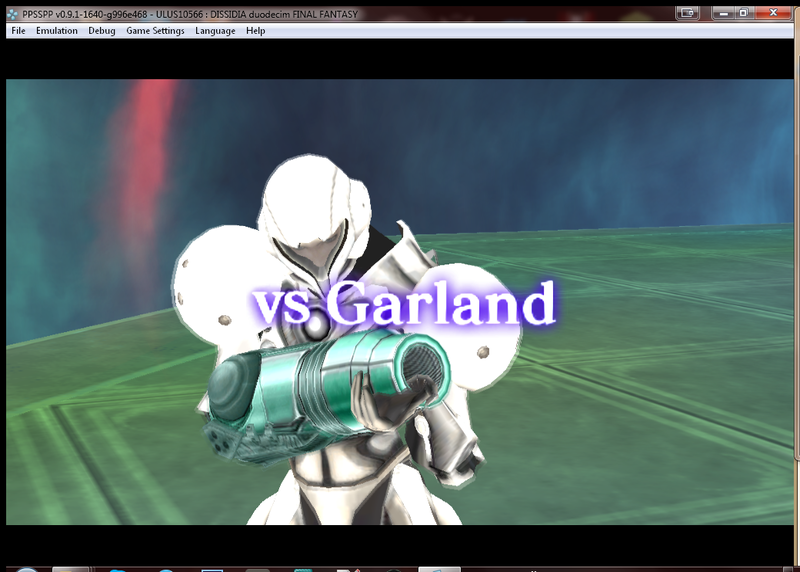 He looks relatively fine when actually fighting, but his intro, loss, and victory animations are.... well..... yeah. He may look weird in some animations, but what do you expect? I put one of most manly Nintendo characters on TIFA. Included is an EXEX, which was made by Bloko for his Blaziken mod. Inuyasha, from the series that shares his name, comes to Dissidia on Cloud Strife. This was a request by AkiraMudou. The Tessaiga changes into its barrier-piercing red form upon entering EX Mode. Custom EX mode aura is also included, just rename its extension (.exex) to .edat and name it whatever Hasher says to name the EXEX. 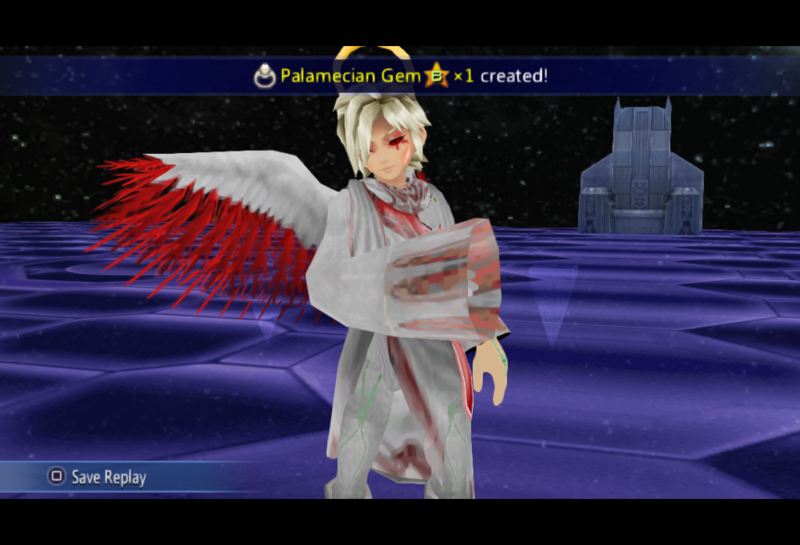 Zero Two comes to Dissidia on Kuja. He doesn't really sport anything special, except for the fact that he's taken a humanoid form. Credit goes to _Data_Drain and Akari_Un for the model, and SJS for the portrait's image. Cloud, from Super Smash Bros. 3DS, imported on... Well, do I really need to say? Thanks to DSX8 on Brawl Vault for the model files! 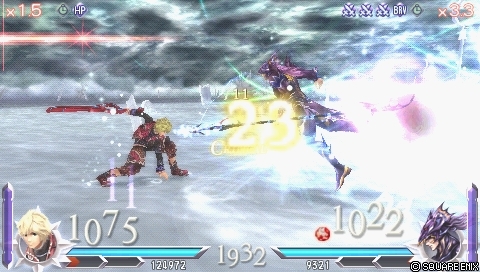 Shulk comes to Dissidia on Squall! And believe me, he's really feeling it, and so am I! He fits so well on Squall, just try using Blasting Zone. His Monado also opens up and gains a beam matching Lionheart's length while in EX Mode. Credit goes to Random Talking Bush for the model, and KTH from Brawl Vault for supplying me with him and a few other things. Sheik, from Super Smash Bros. 3DS, imported on Tifa! She's got all of her colors from Smash 3DS, plus lower res versions for better performance against modded characters. Samus, from Super Smash Bros. 3DS, imported on Laguna! She has all of her colors from Smash 3DS, plus lower res texture versions for better performance against modded characters. 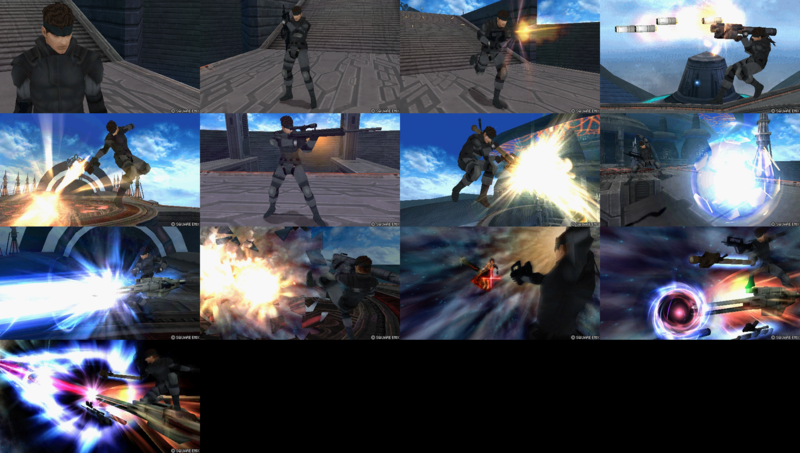 Her arm cannon changes shape during Laguna's various attacks as well! Dark Samus, from Super Smash Bros. 3DS, imported on Cloud of Darkness! Marth, from Super Smash Bros. 3DS, imported on Cecil! He has all of his colors from Smash 3DS, plus lower res texture versions for better performance against modded characters. Lucina, from Super Smash Bros. 3DS, imported on Lightning! She's got all of her colors from Smash 3DS, an optional Mask version, and lower res versions of both for better performance against modded characters. Roy, from Super Smash Bros. 3DS, imported on Cecil! Corrin, from Super Smash Bros. 3DS, imported on Lightning! She has all her (female) colors from Smash 3DS, and lower res versions of the main texture for better performance against modded characters. And, for the first time on one of my mods, she has facial expressions, and Yato is animated! Thanks to DSX8 on Brawl Vault for the model files, and to Windblast as well for all the aid he gave in making the texture animations work. Chrom, from Super Smash Bros. 3DS, imported on Warrior of Light! Greninja, from Super Smash Bros. 3DS, imported on Zidane! 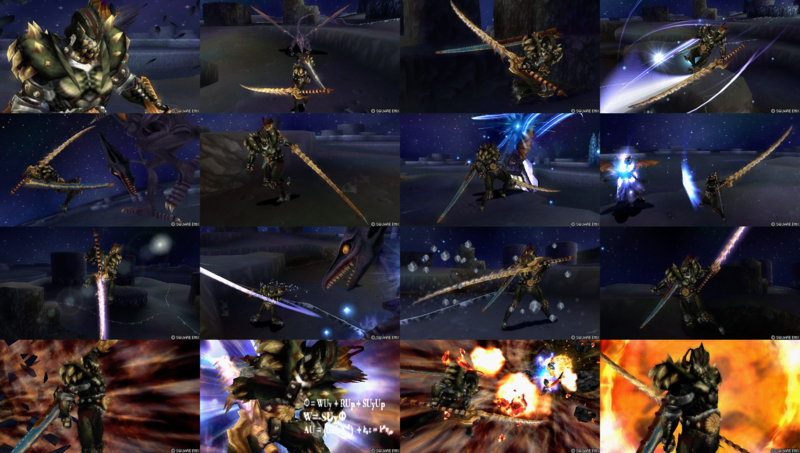 A Hunter equipped with the Vangis set from Monster Hunter Tri cleaves his way into Dissidia! He uses the Longsword Shadowbinder (P). 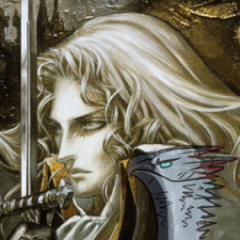 To go with the Longsword's style of fighting, he goes over Sephiroth. Ganondorf from Super Smash Bros. 3DS joins yet again! 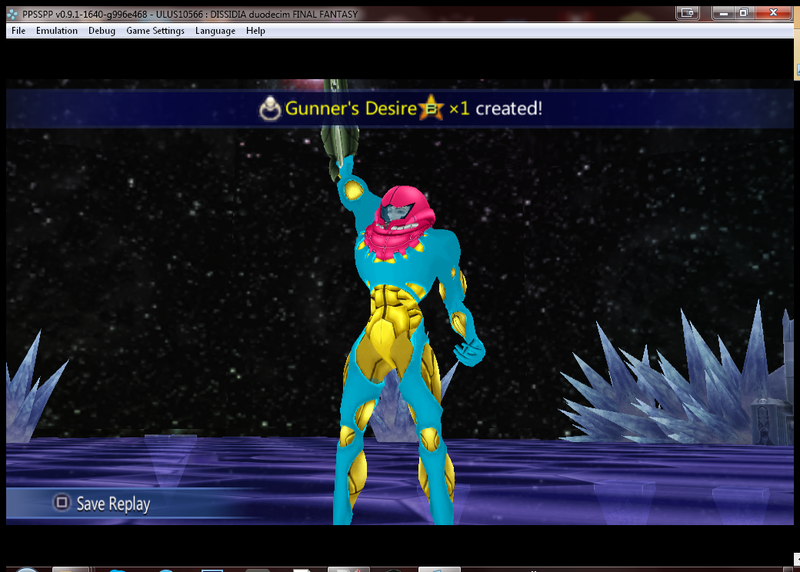 This time, he's over Golbez. 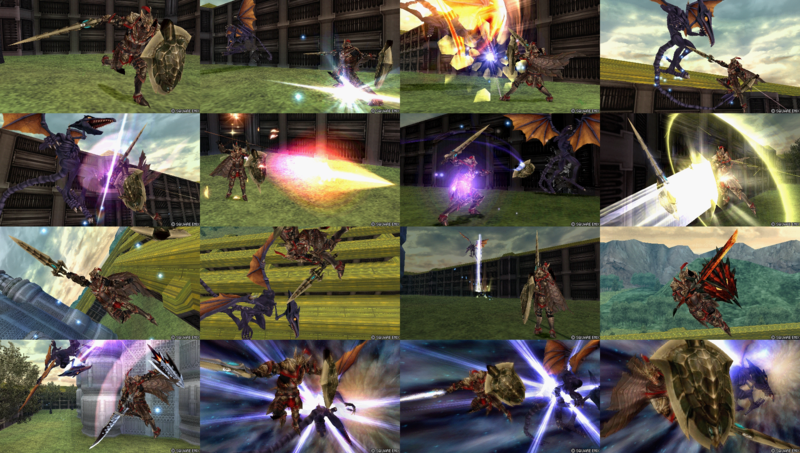 A hunter wearing Nargacuga armor has snuck into Dissidia! He uses various Sword and Shield weapons from Monster Hunter Generations. A hunter dressed in Yukumo Village's own armor arrives! 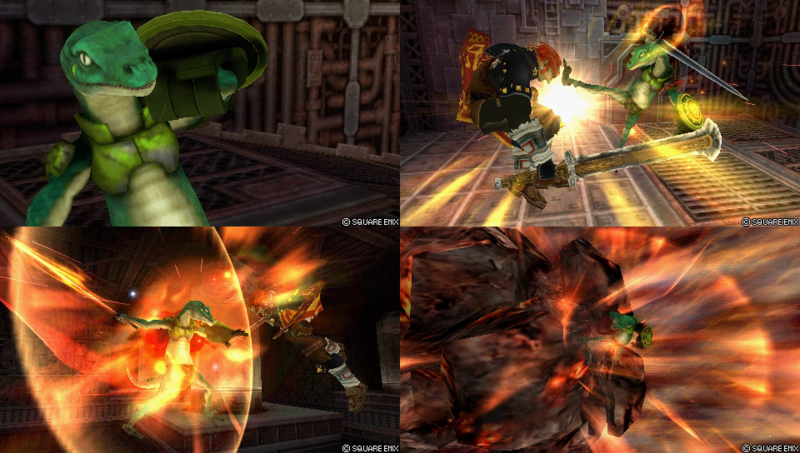 He wields several Switch Axes, which take on their Sword Mode form in EX Mode. A hunter wearing the Caravan's signature armor set vaults into the fray! He uses several Insect Glaives. A hunter wearing G Rank Kushala Daora armor joins to knock out his enemies with his powerful Charge Blades! Alm, from Fire Emblem Echoes: Shadows of Valentia, joins Dissidia on Firion, wielding several weapons from his journeys through Valentia! In EX Mode, he promotes to his Hero class and swaps his Royal Sword and plain weaponry for the powerful Falchion and the Valentian Regalia. Celica, from Fire Emblem Echoes: Shadows of Valentia, joins Dissidia on Terra. She wields her powerful magic and reliable sword, and in EX Mode, promotes to her Princess class. 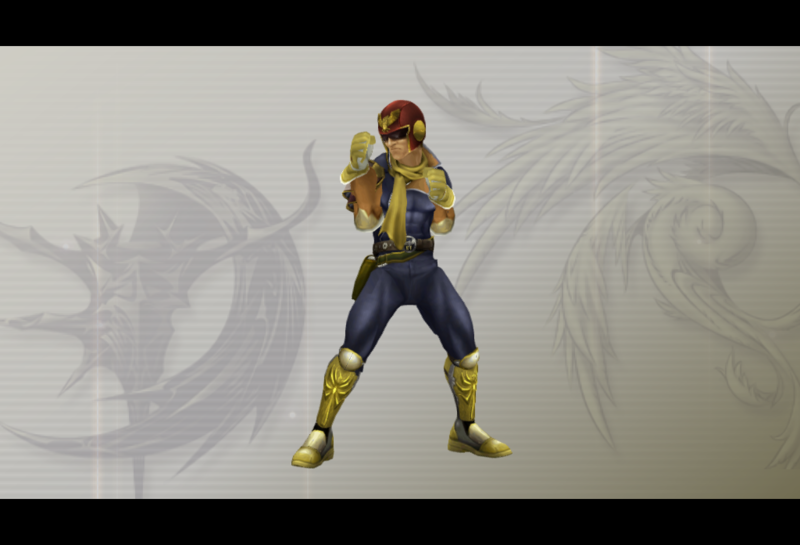 Solid Snake, from the Metal Gear series, stealths his way into Dissidia on Laguna. He wields a variety of firearms from The Twin Snakes! Link, from Hyrule Warriors, joins the fray! He's got his Hero and Knight looks, and a lot of alternate colors for his Hero costume. Alright, if I may, I'll be posting two more times in order to get room for more mods, just in case. Hey man your mods are awesome! I remember way back seeing your mods on the old Dissidia Forums, and I'm glad you we're able to bring some of them back. Thank you! Thank you. I couldn't not bring them back! I fully intend to do more as well. For now, enjoy what's here! Most likely, yes. Maybe I'll do that sometime! Nope, that model would be way too high poly. If I can ever get my hands on it, sure! At least she'd have a better face. Any chance you’ll be doing mods from hyrule warriors on 3ds? Oh just a heads up, Celica's 3ds Warriors model is now available in the models-resource. Also if you don't mind, would it be okay for me to make a Ryoma and/or Navarre mod in the future? Always wanted to play as those badass Swordmasters. Perhaps Iago, Gharnef, and Validar would be nice to import as well. Iago might work well on either Kuja or The Emperor, Validar could maybe work on Golbez, and Kefka for Gharnef. Not sure about that last one, but... it'd at least add some diversity? I love your work omg. The celica is beautiful! Please keep them coming lol. I sure will! With all the FEW models in my hands, you can expect some more stuff from that. Maybe even some stuff from the 3DS version of Hyrule Warriors. Im exicted then lol. Thank you for making these btw! Hyrule Warriors Legends models are officially rippable now! I've definitely got plans now. If I can manage to tear myself away from Monster Hunter World, anyway. Omg hyrule warriors. That versin if ganon is my fae out of all his incarnations. Hey? I wanted to ask. i love your celica mod but wss wondering how to get the higher texrured ones to work? I switched the names around and such but it causes the gane to crash instead when loading up the character. 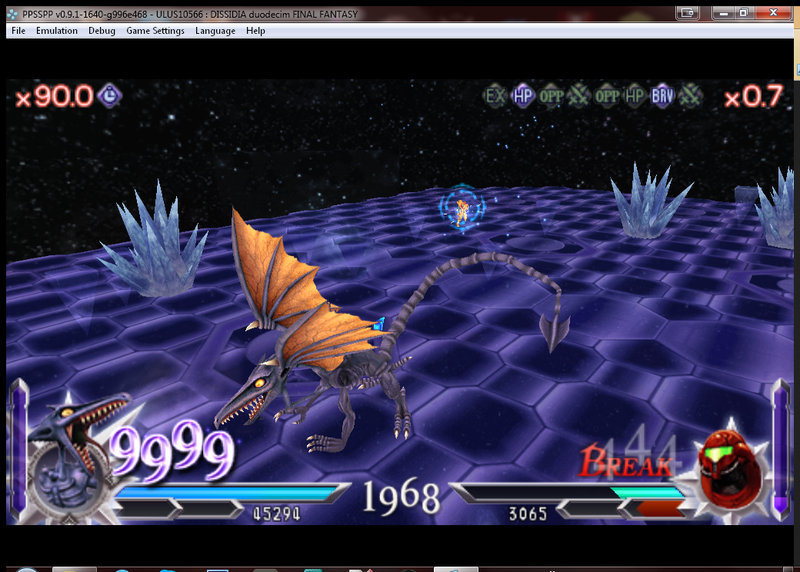 im using a emulator for android if anything. Thanks for letting me know! It turns out I set those up incorrectly. I updated the download to include the fixed ones.